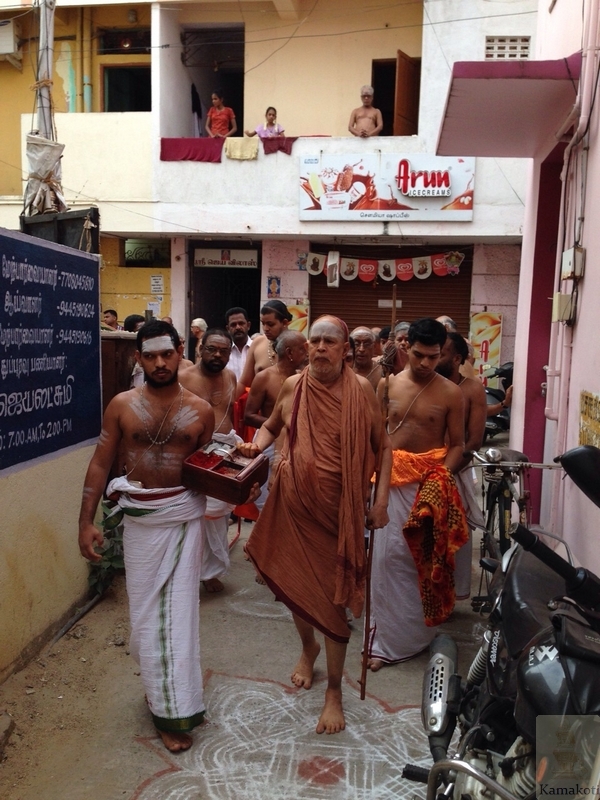 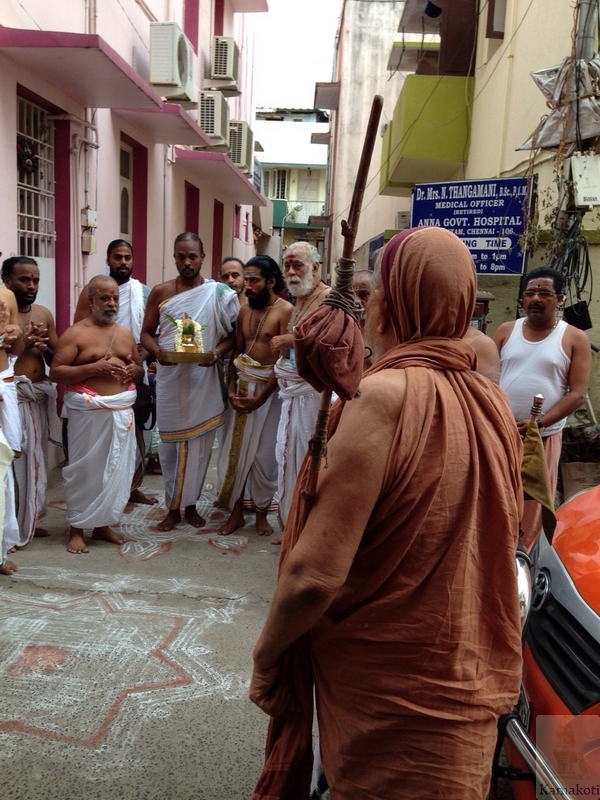 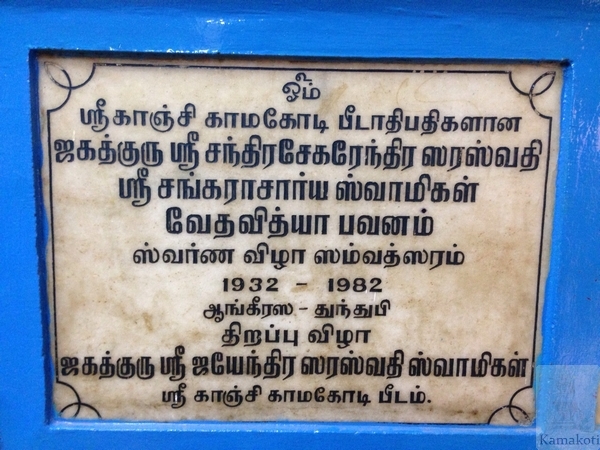 His Holiness Pujya Shri Jayendra Saraswathi Shankaracharya Swamigal visited the Veda Patasala and Mylapore Vedaadhyayana Sabha in Pitchupillai Street, Mylapore. 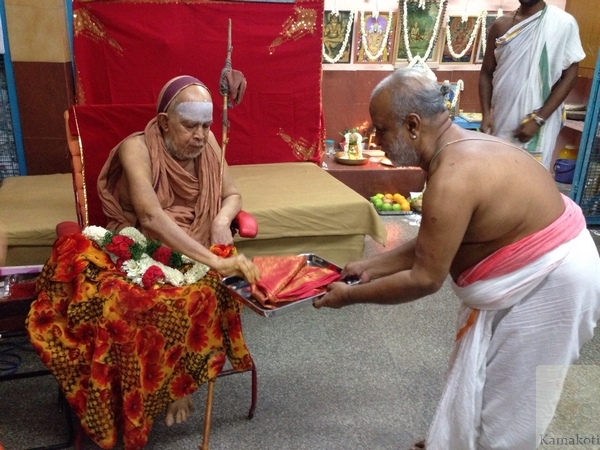 His Holiness was received with Poornakumbham and Veda ghosham. 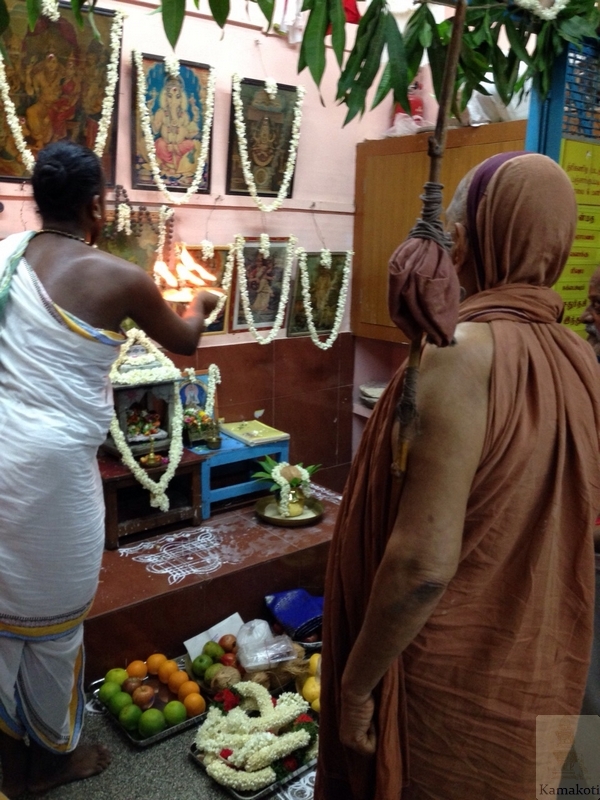 Veda Parayanam and pujas were performed. 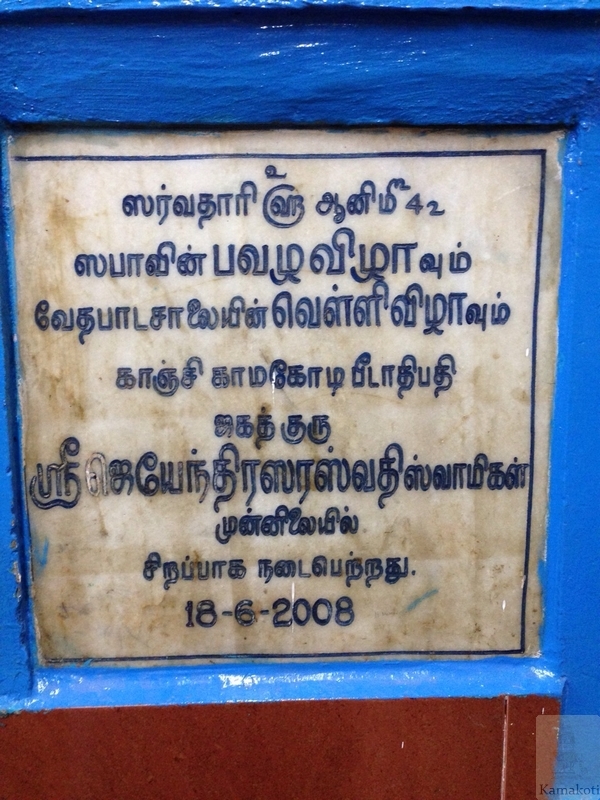 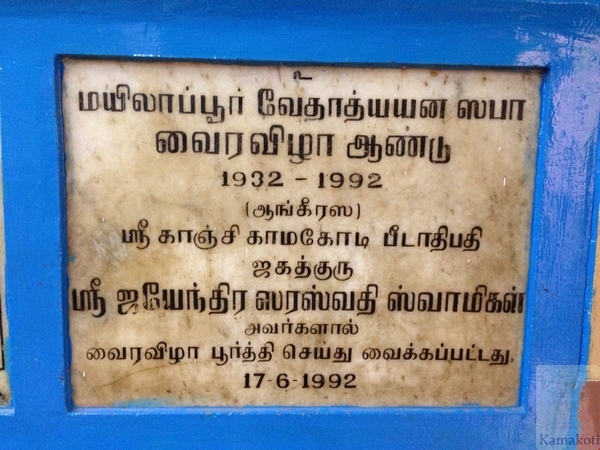 The various important events of the Sabha and Patasala have been recorded as Stone engravings.